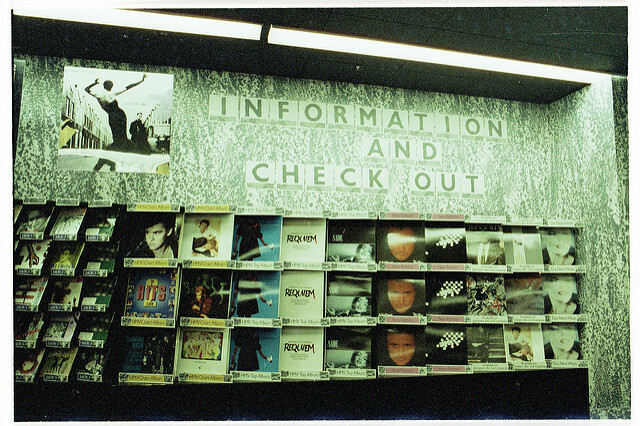 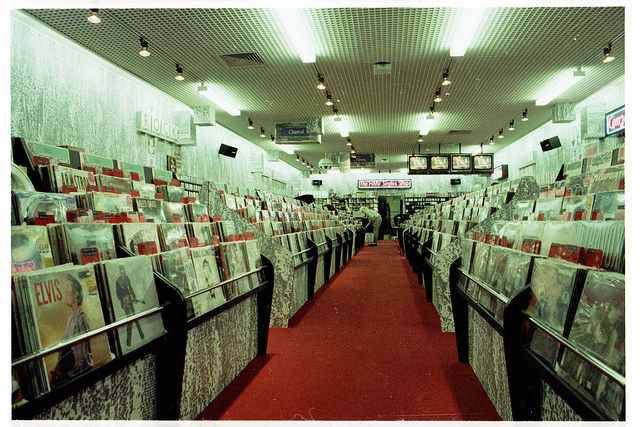 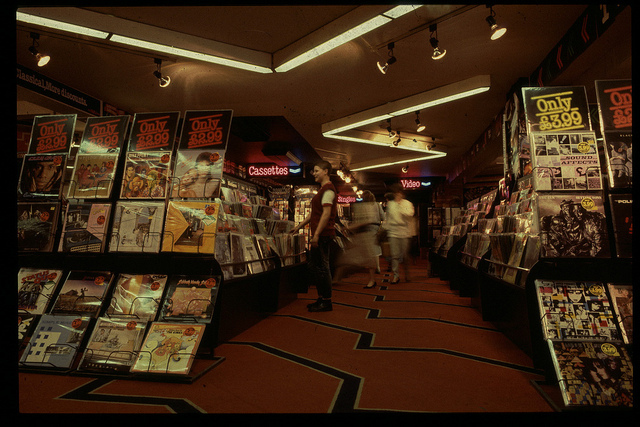 We’ll start off by warning you – These pictures are nowhere near as exciting as the previous HMV 1960s Oxford street store photos we’ve posted. 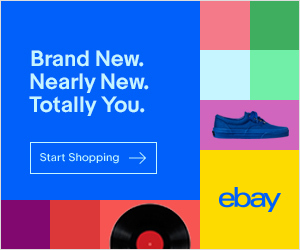 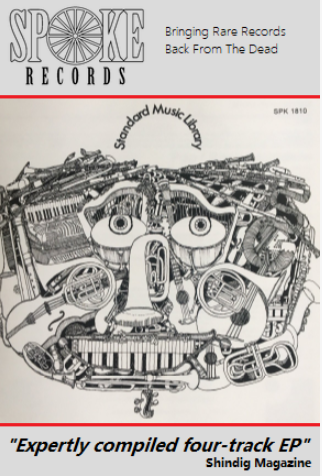 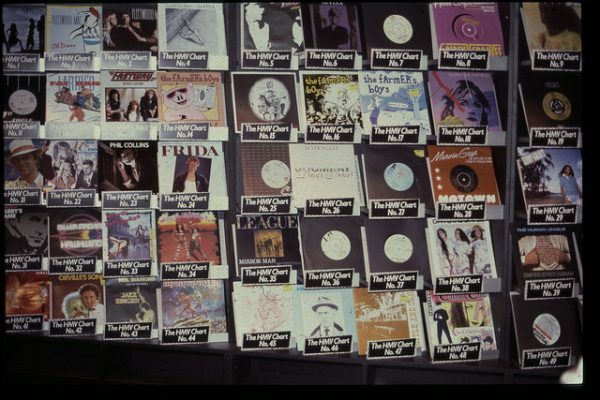 However they are still worth looking at, even if it’s just to reminisce about the cost of albums, Setting sons by The Jam for under Four pound – Bargain! 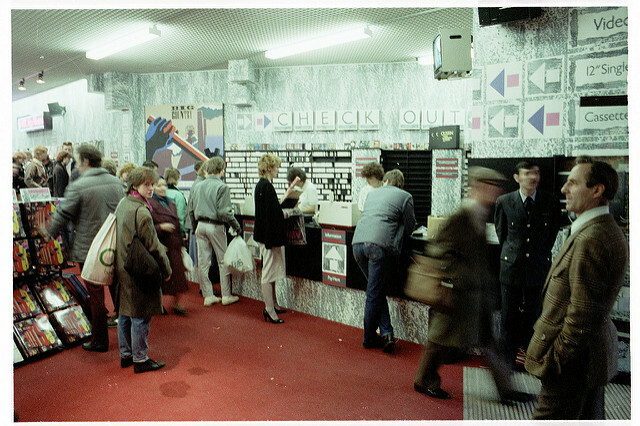 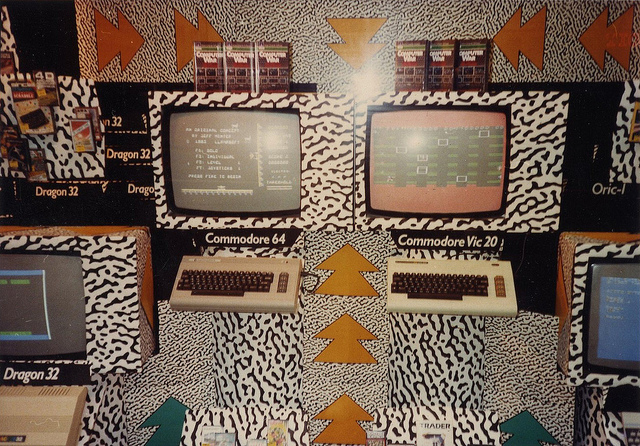 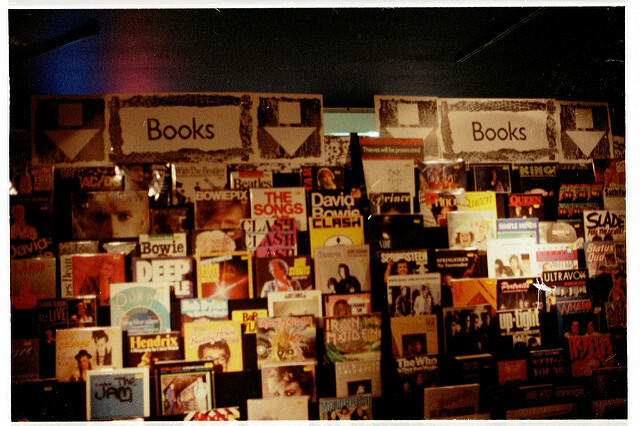 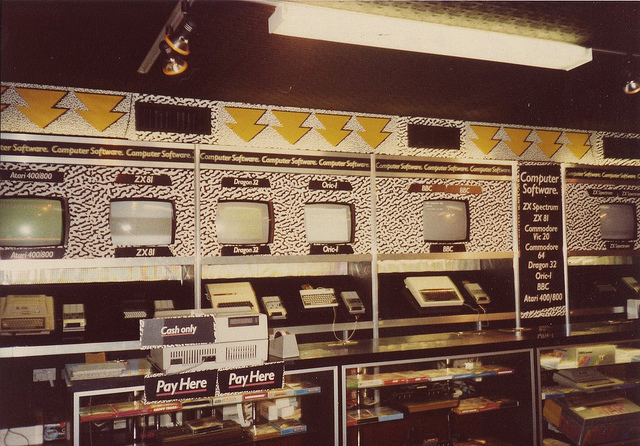 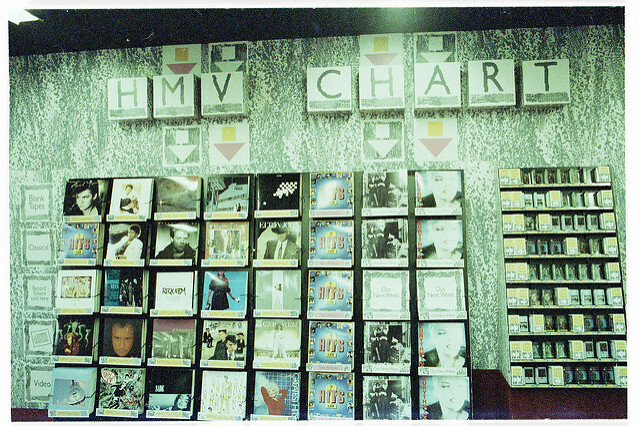 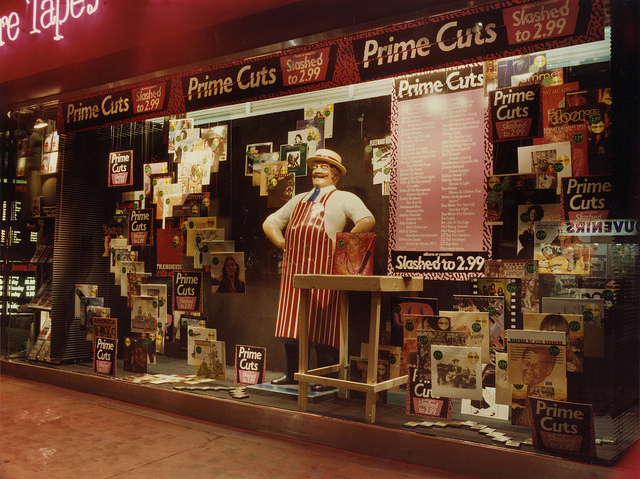 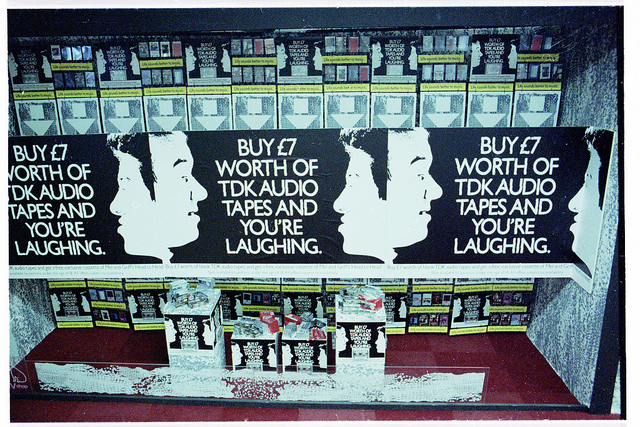 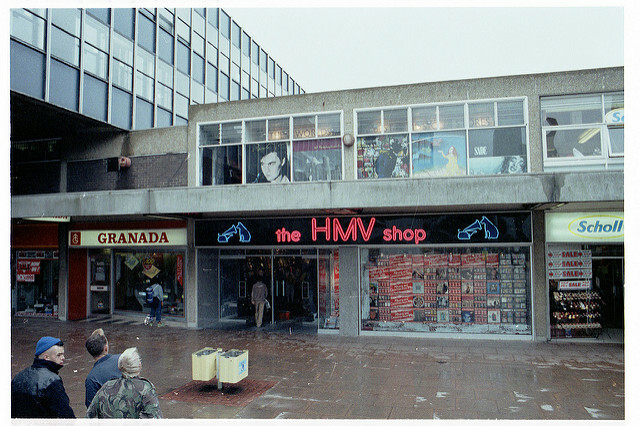 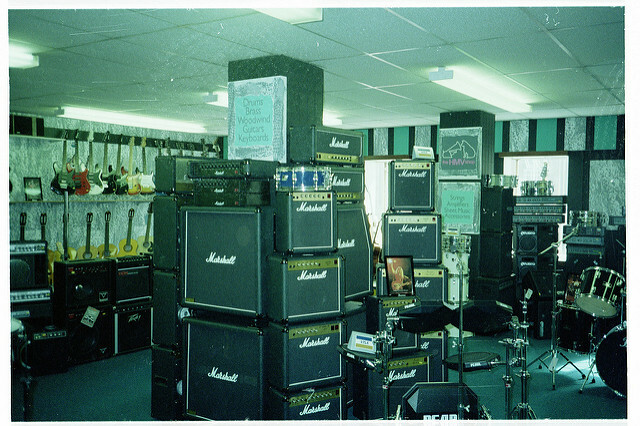 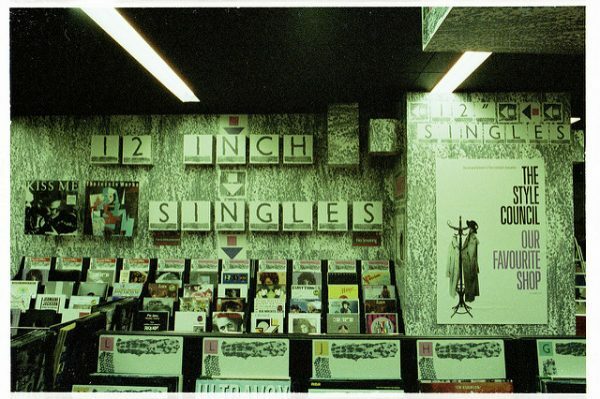 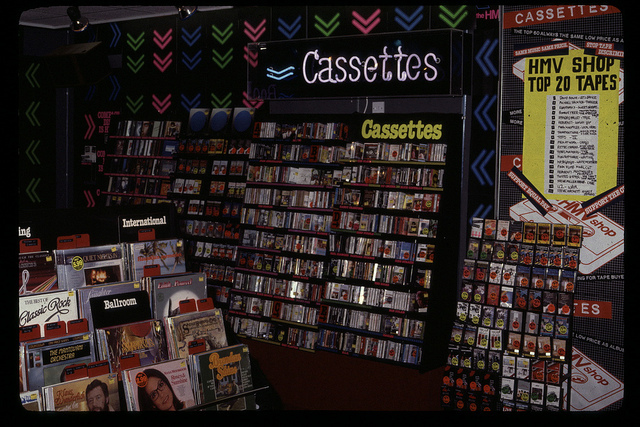 This time we’re branching out and visiting different HMV stores in the UK during the eighties .There’s the Bedford shop stacked with Marshall amps, a ‘Dummy store’ in a warehouse with various displays. 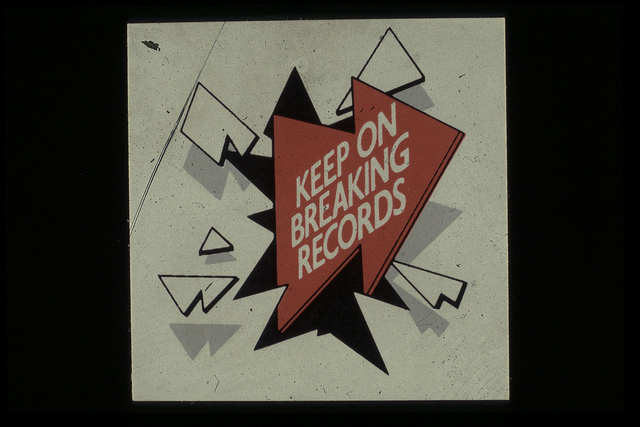 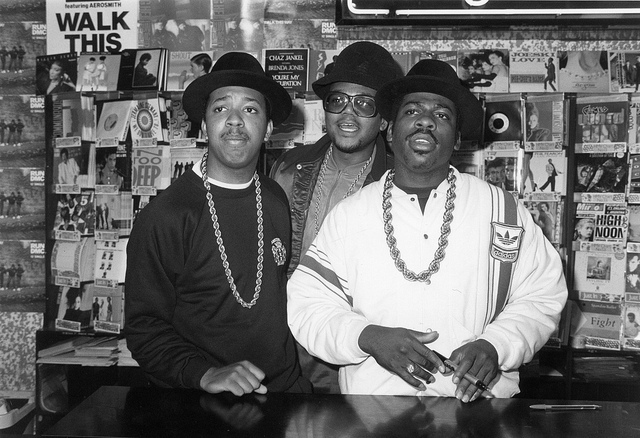 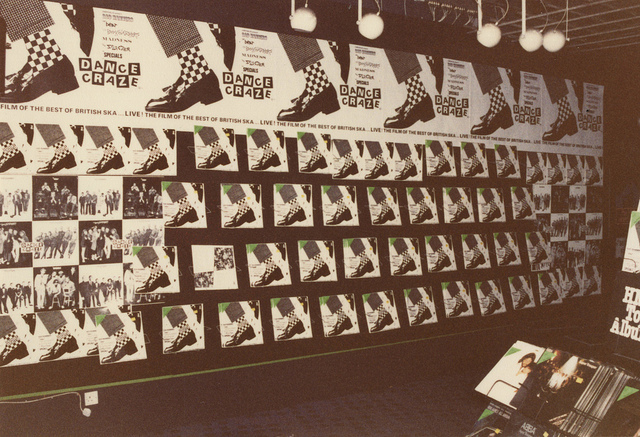 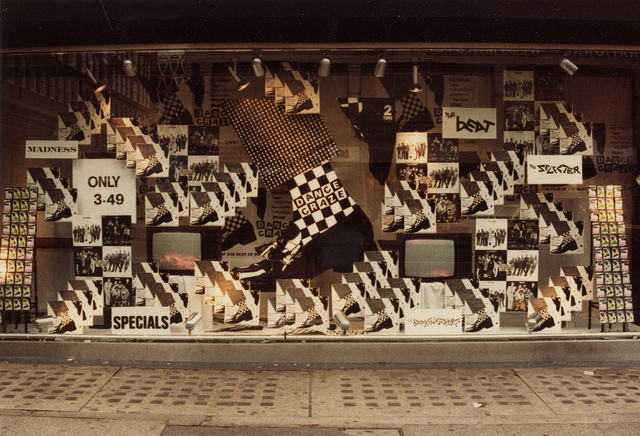 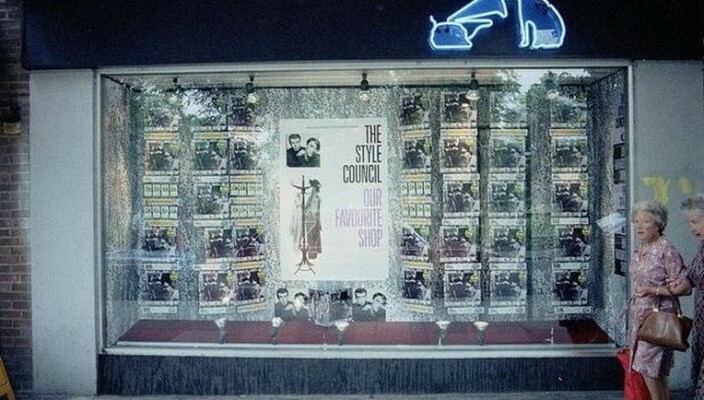 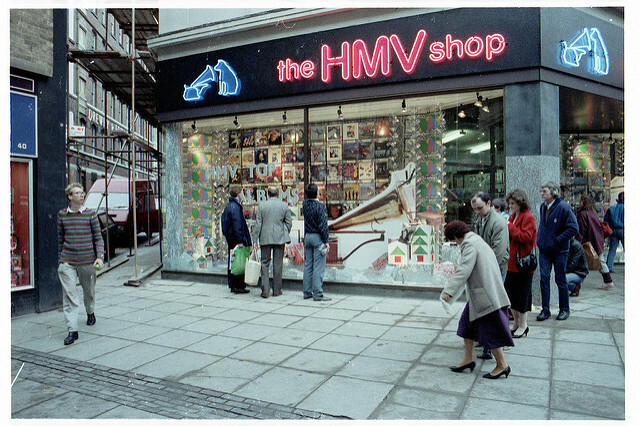 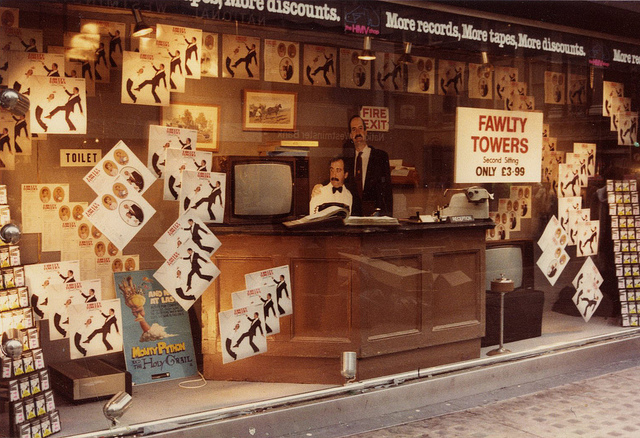 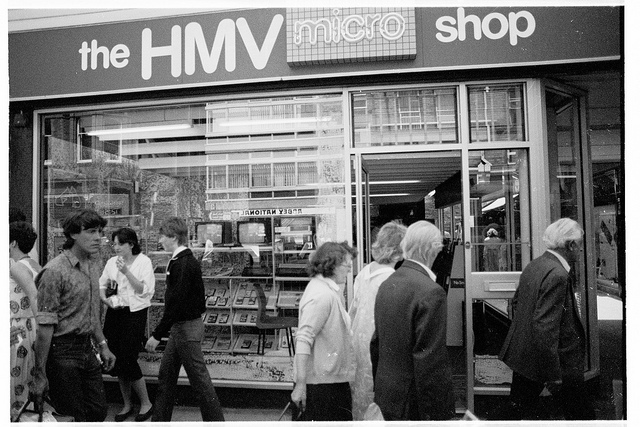 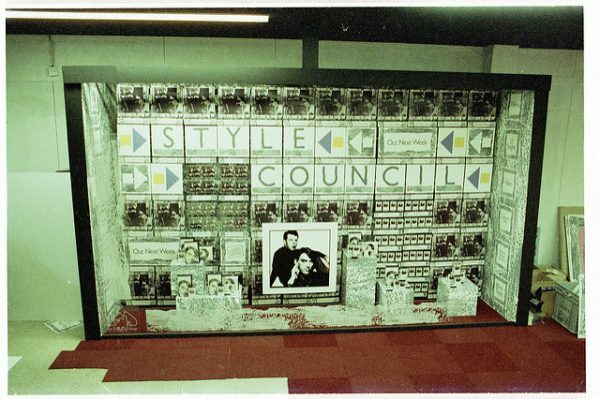 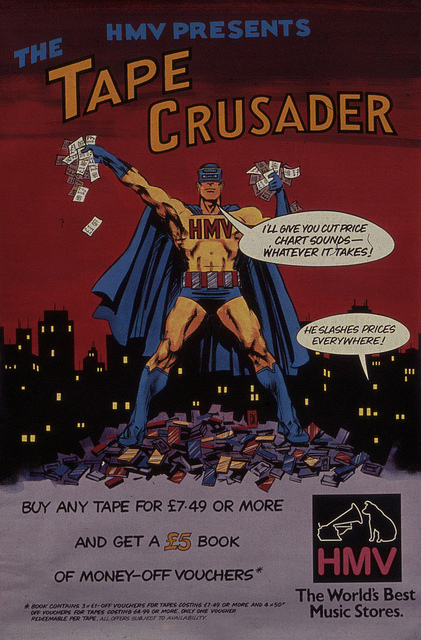 Then it’s back to the HMV flagship store in Oxford street, London with a window display for the Two Tone live album Dance Craze and an in-store visit by Hip Hop pioneers Run DMC – Now, Let’s walk this way.